online stores can be found HERE . In addition to France, no other wine-producing country so many different areas of cultivation of grapes that produce the full range of wines belonging to the world's elite - from of charming sparkling wines of Champagne, through phenomenal Pinot Noir and Chardonnay from Burgundy, Bordeaux wine giant, full of pleasant wines of Alsace, Nobles spicy wines of the Rhone Valley (Vallée du Rhône) to sweet wines of Sauternes. 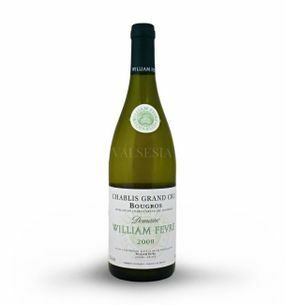 William Fevre Chablis Bougros 2008, Grand Cru, 0,75 l These wonderful wines Chardonnay labeled Chablis Grand Cru represent only 3% of the total production of Burgundy Chablis. Bougros 2008 Chablis Grand Cru, 0.75 liters is therefore the real crème de la crème of the offer of this world famous wine region. Bouchard Père & Fils Chassagne-Montrachet Blanc 2009, Villages, 0,75 l Chardonnay wonderful beautiful golden yellow color characteristic intense aroma, which can recognize a luxury bread, croissants or butter, but also a rich variety of floral and citrus aromas subtly terminated soft tones of roasted almonds and spices. Juicy wine, sleek with strong character. Borie Manoux Château Bel-Air 2010, AOC Graves, 0,75 l Cru Bourgeois generous and deep wine with a mild climate, reinforced soft tannins, matured for 12 months in French oak barrels. 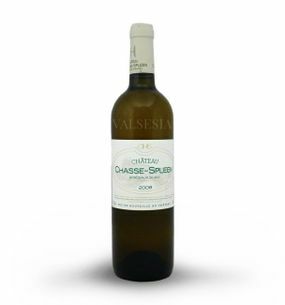 Château Chasse-Spleen Château Chasse-Spleen blanc 2008, AOC Bordeaux, 0,75 l Beautiful representative of the great white wines of Bordeaux - is bright with a nice viscosity. Direct aromatic expression is intense, delicate, harmonious, composed tones of fresh butter, roasted ages, complemented by notes of a mature pear, hazelnut and cream. 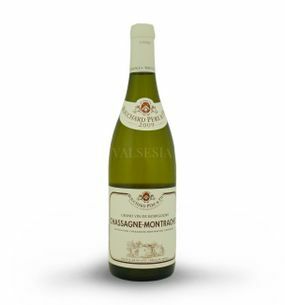 In the mouth the wine is supple, rounded is not devoid of fruity freshness. taste, see pink grapefruit, ripe pineapple and fine minerality. DOMAINES HENRI MARTIN Château Gloria 2008, AOC Saint-Julien, 0,75 l The wine is made up of 61% Cabernet Sauvignon-24% Merlot, 6% Cabernet Franc, Petit Verdot 9%. Interestingly Chateau Gloria highlights the variety Petit Verdot - a variety which gives the wine its beautiful red color, tanning and aromatic richness. Jean-Eugene Borie Château Lalande-Borie 2006, AOC Saint-Julien, 0,75 l Nicely colored wine, which is dominated by the rich flavor of black currants. The wine is pleasantly ethereal with plenty of tannins. 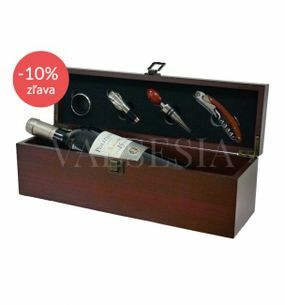 It is a cuvee of Cabernet Sauvignon 65%, Merlot 25%, Cabernet Franc 10%. 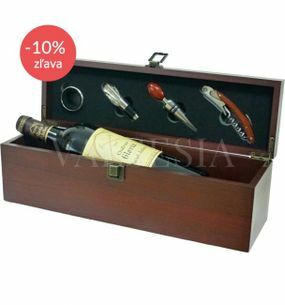 It allows enough tannin wine aged in bottles for 10 -15 years. Bouchard Père & Fils Gevrey-Chambertin 2009, Villages, 0,75 l Wine of beautiful ruby ​​color with wonderful aromatics of red cherries, sour cherries, but also currants with a hint of liquorice. Maturing in barrels acquires new sensations, especially the delicious notes of nutmeg and leather. Bouchard Père & Fils Meursault 2009, Vilages, 0,75 l Wines from Mersault are famous worldwide. They are characterized by a beautiful golden color and great aromatic full of delicious tones of lime blossom, hazelnut, as well as honey and butter. 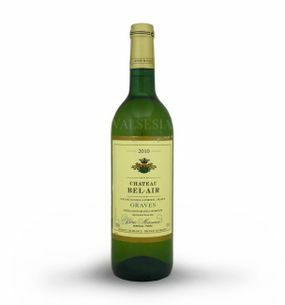 These wines are silky, full and generous, with a long-lasting aftertaste. Domaine Faiveley Rully blanc "Les Villeranges" 2011, Village, 0,75 l Wonderful Chardonnay from the famous old wine village Rully will appeal to you gorgeous aromatics full of pleasant tones of fruits, acacia flowers, fresh hazelnuts and vanilla. Soft, balanced wine rich in flavor, slightly spicy and mineral intake. Did not find what you were looking for? Do not hesitate to ask us, we will help you.